If you are a Christian, do you ever talk to nonbelievers about what you believe? Do you have a conversation, or do you just glump your ideas down? And WHY do you share -- is it to get some credit with God, or is it because you genuinely care about the person? I came across this interesting short video by Penn Jillette of the Penn-and-Teller magic/comedy show that plays in Las Vegas and other venues. Penn is an atheist who gives his impressions of talking with a Christian. See what you think! 1. During lunch time, sit in your parked car with sunglasses on and point a hair dryer at passing cars, and see if they slow down. 6. In The Memo Field Of All Your Checks, Write "For Smuggling Diamonds." 10. Order a Diet Water with a serious face whenever you go out to eat. 14. Put Mosquito Netting Around Your Work Area – Play tropical Sounds All Day. 17. When The Money comes out from the ATM, Scream "I Won! I Won!" And The Final Way To Keep A Healthy Level Of Insanity ..
20. Send This E-mail To Someone To Make Them Smile. It's called therapy. It's not the load that breaks you down; it's how you carry it! Since you've all been so kind to be interested in my *book journey*, I thought it was time to give an update! I'll try to do one every few months or so. In July 2008 I was under great time pressure to get my ARCs (advance reader copies) out in time for a writers' conference (the GPCWC HERE) that I would be attending during the first week of August -- they have a book consignment table there, and I wanted to sell my books. I'd been working with deadlines that whole year, but all the details finalized in July. Between finishing having the company officially established, receiving the ISBNs and the other legal doodads, logo design (that my daughter did -- try arguing with a teenager about what you want), getting the final interior and cover PDFs, completing a contract with the printer, getting the proof printed/examined/OK'ed, and then getting the shipment of books, believe me it was a nail-biter. The books came in on July 30th, with a week to spare. Phew. I was told to expect to sell about five to ten books at the conference. I engaged in shameless marketing, including sitting on a self-pub panel and putting the book prominently on my desk at every lecture :-) Several people read the book while the conference was going on, then searched me out to tell me how much they enjoyed it, and I think they may have told some of their friends. I even saw one person absorbed in Lever instead of listening to a lecture we were both attending -- wow. The woman doing a marketing seminar held my book up during another lecture and said she'd heard it was very good (God bless you, Carmen!) Final result: I was able to sell 16 books. I also passed out a few to authors or other people who might be able to write an endorsement. Right after this, Tammy, who runs the Curves that I attend, held a book signing for me. I sold about 50 books there. Furthermore, the ladies really seemed to enjoy it and told their friends, so I was (and continue to be) able to make additional sales over the next months. For the remainder of the fall, I continued to pursue endorsers and also sent out a slew of books to review sites. Pursuing endorsers was worth it; the review sites weren't, although I did get a nice turndown note from the religious editor of Publisher's Weekly. If you notice on amazon that on Lever's listing there are 16 *new and used* books for sale, guess who paid for those, mailed them to the reviewer, and never heard a word back? If they say *new* you know why. This upset me when I first saw it, but I've since taken a deep breath and decided to let it go :-) It's God's book, not mine, and He will get the word out. If He wants to put this company in the black, He can certainly do that. The last major worry was getting the cover changed from ARC to final cover, since the PDF files I'd been given weren't layered. Chris again saved the day! (Chris was my copy editor and interior book designer, and is fabulous at this stuff). Actually, let me give him a plug since he has a self-publishing company. If you want to self-publish your book and don't want to form a company, I can unreservedly recommend Chris's company, Yav Publications. He is honest and meticulous, and his books are works of art. 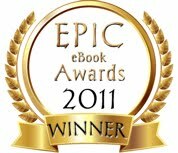 He is an expert in all areas of publishing from editing to design. I don't know his prices off-hand, but for the work he did for me he charged a fair price and I was completely happy with the result. Chris has also developed Fiction Fixer, a program that evaluates your use of language and writing style to optimize what ends up on the page. Nothing earthshaking happened on release date. In the few weeks before, I'd been desperately trying to fix inaccurate information on the amazon listing. This was incredibly frustrating, although at the end it worked out. And there it was: my book was ready to be sold! I've also done a few local book club presentations and book signings, with excellent results. I'm still trying to get a print review in a newspaper -- since Lever is self-pubbed, no one wants to touch it. Frankly, I can understand this since self-pubbed books often deserve a poor reputation, but it's still discouraging. When I wanted to sell to libraries, I was told it will make the difference if I have print interviews. Oh well, never say die, says I. Throughout the process, whenever anyone reads the book, I ask if they might consider doing an amazon review. Many of you have done so, and again, thank you so much! So far I have 35 reviews, averaging four and a half stars out of five. In April I decided I should get some postcards made, and now have really spiffy ones with the book cover on the front; on the back are the back cover description, Randy's endorsement, a brief bio and tiny author photo, and then ordering info. The only thing I'll do differently when I reorder them is to underline the web site addresses. These are great to pass out; in fact, I've been using them instead of a business card. I put them in book racks at Walmart and B&N. I put them in churches. When it's not obnoxious to ask, I give a few to friends and ask them to pass them out as appropriate. More recently, I've been calling a few Bible theme parks (Sight and Sound, Holy Land, Passion Play) and messianic online stores to see if anyone wants to carry the book (with proper wholesale discount, of course!). I've approached a few local Christian schools and homeschool companies with no success (yet), and am now thinking of branching out to find church bookstores that might want to carry the book. My target reader is actually a skeptic, but I'm not sure how to target this amorphous group! My strategy so far has been mostly through the Christian community. writing the next one(s) -- essential. Things are finally calming between family and marketing so that I am hoping to focus more on writing for the summer. I will be giving a lecture at GPCWC this year on The Story Template, which gives me an appropriate kick in the rear. Sob story over. Thanks for listening! Perhaps a bit morbid, but I had to smile to read some of these epitaphs. Hope they're worth a smile for you too! Here lies Ezekial Aikle , Age 102. Only The Good Die Young. Here lies Johnny Yeast ... Pardon me for not rising. Here lies the body of Jonathan Blake . I’m honored today to visit with two writers who have crafted a magnificent book! You can find their novel, When the Sky Fell, online at amazon HERE and spotlighted on the publisher's site HERE. This interview with Mike and Brandon is the second and final part; the first part was posted Wednesday. What impressed me so much about Wednesday's interview was the sheer persistence Mike and also Brandon needed to get this book imagined, written, and completed. Truly an inspiration! Today's interview will focus on agents, editors, publishers, and marketing. Thanks so much, guys! First, here's a quick book synopsis. Doesn't it sound cool??? 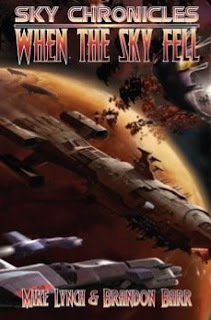 When the Sky Fell is about one man’s journey who must overcome his past to save humanity’s future. Set in 2217, Commander Frank Yamane is the captain of the stellar cruiser, Corona. Having been in the military for most of his life, he has experienced a number of tragedies, including the death of his beloved wife, Liana. But it is these same experiences that have also prepared him for the day when the survival of humankind is at stake. When an armada of 1000 Deravan vessels is detected at the edge of the solar system heading straight for Earth, Star Force Command sends every available ship it has to make a stand at Mars. Outnumbered, outclassed, and outgunned, their plan to stop the Deravans fails, leaving our world at the mercy of an enemy that has shown them none. Faced with the planet’s imminent destruction, Commander Yamane has no choice but to seek the help of the Antarans, an alien civilization he defeated in a war a decade before. Though they have every reason not to come to Earth’s rescue, he sets forth on a desperate journey to the Antaran home world, knowing that the survival of mankind is hanging by a thread. NOTE: my questions are in white, Mike's answers are in blue, and Brandon's are in green. In the photo, Mike is on the right, Brandon on the left. How did you find a publisher for your book? Do you have an agent? ML: Finding a publisher was a long a laborious process for the two of us. I had tried on my own for several years, but got nowhere. At the same time I also sent out query letter after query letter to different Christian publishers, but they too weren’t interested in the book. After Brandon came on board, we sent out the newly revised manuscript and proposal to different Christian publishers, but the results were the same. Realizing our story just wasn’t going to be accepted in Christian literary circles, Brandon and I trimmed down the overtly Christian elements and made the story more allegorical in nature. We then focused our attention on secular publishers that specialized in sci-fi and fantasy. And finally one day, I received a letter from Silver Leaf Books, saying they were interested in publishing the story. When Silver Leaf sent us the contract to publish the novel, Brandon and I realized very quickly we were in over our heads, and so decided to sign with an agent. Our big concern was signing something we didn’t fully understand, only to find out later we would get very little compensation for our books, which has been known to happen. After checking out a few places, we finally signed on with Joyce Hart of the Hartline Literary Agency. BB: It’s going to be action packed! Can’t wait to get out and available for people to read. 1) Would you consider science fiction a difficult genre to break into for the Christian market and/or the general market? 2) Do you look at the emergence of new small publishers as hopeful? 3) What do you think are the biggest obstacles to getting published? BB: 1) Sci-fi is embraced by the secular market. So if your story isn’t forcefully Christian, send it to the secular market. 2) Small publishers are a foot in the door for many authors. And some bestsellers come out of them. They’re on the look for undiscovered talent, and our in fact beginning to rival the big publishing houses. 3) The biggest obstacle to getting published is depression, and getting down on yourself. You see all these rejections and you feel like a failure. Just remember (according to Chicken Soup for the Writers Soul), Louis L’Amour received 350 rejections before selling his first story, and Jack London received 600. Just because you’re rejected, doesn’t mean your writing stinks. But I bet Jack London’s first story wasn’t nearly as good as his 600th!! ML: Though some Christian publishers have taken a chance on a science fiction story now and again, overall, they remain reticent to embrace this genre. As has been told to me a number of times, they believe the audience just isn’t big enough to take the financial risk. And so they stay with genres that have proven themselves more economically viable. The good news is that things are changing. Jeff Gerke just launched Marcher Lord Press, an online publishing house that specializes on science fiction and fantasy. Also, a number of Christian groups, bloggers, and forums have popped up all over the Internet that are committed to making science fiction and fantasy just as viable a genre as prairie romances and political thrillers. In time, we believe today’s reading audience raised by Star Trek and Star Wars will force mainstream Christian publishers to adjust their promotional strategy, and start offering many more titles that reflect this genre. What are your best pieces of advice for other writers? BB: After you’ve written one novel, write another, and another, and keep writing them. If you love storytelling, then you’ll have the strength to persevere through rejections. Just keep writing! One of my favorite authors wrote fourteen books before he had his first one published. ML: I couldn’t agree with Brandon more. Keep writing no matter what. Only about 1% of novels ever get published. That’s a dismal statistic, but it is just the way it is. You really have to believe in your project to beat those kinds of odds. If an editor tells you where your work falls short, listen to him/her. It’s like gold to get a critique like that. It’s also important to develop relationships with other writers. Networking cannot be underestimated. I also encourage would-be writers to go to writers conferences. You are sitting at the feet of people who have gone ahead of you, and will tell you what the business is like. While there, you will also have a chance to sit down with agents and editors and pitch your story in a way that could never happen with a query letter. Nothing speaks louder than the passion and enthusiasm you have for your work. In the end, keep sending out your stories. Know that the rejection letters will come, but you have to stay committed, until you find that one publisher that loves your novel as much as you. What have you been doing to get the word out about your book? Where can people go to find out more, and to purchase your book? If they like it, what can they do to help you? ML: Brandon and I have been doing as much as time allows—we have our own websites to promote When the Sky Fell (www.mikelynchbooks.com and www.brandonbarr.com), we’ve joined a number of online groups committed to promoting Christian sci-fi, we’ve had book signings, set up author appearances at book stores, sold copies to friends and family members, sold copies at work, we’re hoping to have a table set up at the Spirit West Coast Christian concert, we’ve done radio interviews, blog interviews, and have spoken to a number of students at schools and libraries. The book is also listed online at Amazon, Barnes & Noble, Borders, and the Silver Leaf Books website (www.silverleafbooks.com). The best way for people to help us is to help us promote the book, such as what you are doing. The more we get the word out, the better our chances of getting people’s attention. BB: If you’re into Christian sci-fi and want to see more, tell your like-minded friends! The more people who realize there is actually Christian sci-fi (and fantasy) available, the more demand there will be for this genre. Mike and I hope to be writing stories for a long time to come and we hope to make a lot of friends with readers starving for thrilling, adventurous sci-fi created from a Christian worldview. ML: I’d like to thank you for giving us this opportunity to talk about the book and promote it to your readers. We really appreciate this. BB: Thanks, Amy, and may God bless your own writing endeavors! This interview was so interesting I couldn’t bear to shorten it, so I’ll let Mike and Brandon tell you the *whole* story today and Friday. Thanks so much, guys! Mike Lynch (on the right) currently resides in San Jose, CA with his wife, Kathleen, and two children. He graduated from San Jose State University in 1986 with a B.A. in History, and San Jose Christian College in 1994. Mike has written Dublin, a book chronicling the history of Dublin, CA. Published by Arcadia Press, it was released in 2007. In March 2009, Mike’s first novel, When the Sky Fell, was released by Silver Leaf Books. Mike has also published short stories in several magazines, including “Surf’s Up,” a story awarded “Best of Show” in the Residential Aliens 2007 flash fiction contest. His latest novel, After the Cross, took first place in the Dead Robots Society’s 2008 1st chapter writing contest, and his latest short story, “Beyond Horizon’s Edge,” took 1st place in the 2009 Preditors & Editors Reader’s Poll. 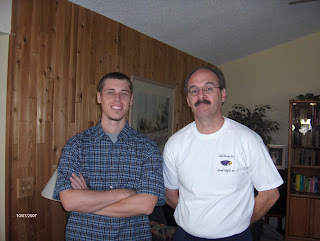 Brandon J. Barr (on the left) was born and raised in Redlands , California where he lives with his wife, Amanda. He graduated from California Baptist University in 2004 with a B.A. in English. Brandon began writing fiction in 2003. Since then he has published several short stories in magazines such as: Gateway Science Fiction, Revelation: The Magazine of Apocalyptic Art and Literature, Nova Science Fiction Magazine, Haruah: Breath of Heaven, Ray Gun Revival, Christian Sci-Fi Journal, and Residential Aliens. Before we start the interview, are there any *fun facts* we should know about you? BB: By the time I was six I had successfully kissed almost every girl in my neighborhood. Cooties never bothered me. ML: When I was in high school I learned how to ride a unicycle and juggle, though I’ve never had any aspirations to run off to the circus. Those clowns are a little creepy. Where did you come up with the idea, and how long did it take to write? ML: I have been a fan of science fiction since I was a kid. Something about space ships flying off to other worlds and meeting strange aliens ignited my imagination. It is only natural that this kind of influence seeped into my thoughts when I first decided to write a novel. As to the story itself, in a classic “what if’ scenario, I wondered what it would be like if an alien armada 1000 ships strong was discovered heading towards Earth and we had to stop them before they could destroy it—and thus the story was born. In its initial incarnation the story took several months for me to write. Mind you, this was on an old-fashioned manual typewriter back in 1981, and the home computer, which was just becoming available to the public, was too expensive for me to afford. As I read through one typed page after the other, I soon discovered the manuscript was filled with so many spelling errors and plot elements that needed changing, I felt overwhelmed at the thought of revising the entire story, and so I shelved the whole thing and moved on with my life. As the years passed however, thoughts of the story would pop up in my head from time to time, and so when I finally bought a computer of my own in 1996, I dusted off my novel and started plowing through what I soon discovered to be laughable dialogue and poorly developed characters. After several months of hard work, a halfway decent story began to emerge. But in so doing, I had created a 650-page monstrosity. Again, the thought of editing something I knew was way too long felt overwhelming, and so I shelved the manuscript again. I then spent the next nine years polishing the story off and on, trimming it down where I could. When I felt my story was finally in publishable shape, I went to the Mt. Hermon Writer’s Conference in 2005. One of editors I met there thought my novel showed promise, and asked to see the entire manuscript. After a year of waiting, I received the bad news that the publisher decided to pass. I went to Mt. Hermon the following year, but the people I showed it to felt the Christian Science Fiction market was too limited, and they also passed. It was at this point I seriously contemplated quitting. But before I did I wanted to give it one last chance, and contacted another Christian science fiction author I recently met on the Internet—Brandon Barr. BB: Ironically, I was born the same year he wrote the novel...1981. Well, I was deeply honored when Mike approached me about co-authoring the novel, and over a phone conversation agreed to take on the task. I had exclusively written short stories up to that point, and a novel had always felt daunting, but I leapt into the task. Mike told me to make it feel like my own, and I did. I spent two and half intensive months going through the novel twice, and then it was time to send it off to the publishers. Tell me about your working relationship. Why did you decide to collaborate? And what are the nuts and bolts like: do you divide tasks, or work on the same passages? What strengths and weaknesses do you each bring to the table? How do you edit each others' work, and determine when something's finished? How do you handle disagreements? ML: Like myself, Brandon had strong interest in science fiction. It also helped that our writing styles were similar to each other’s. In a kind of roll of the dice, I asked him if he would be interested in re-editing the entire novel, and as compensation for his efforts, I made him a co-author. My gamble paid off since we found a publisher not long after he whipped When the Sky Fell into shape. Brandon and I kind of stumbled our way through the collaboration process at first, but over time, have developed a good system that works well for the two of us. Since finishing Sky, Brandon and I have collaborated on two other novels, and are presently working on our next writing venture. We usually start the process as a kind of pitching session. One of us has a couple of ideas for a story, which is offered to the other. We pick the one that seems the most interesting to the two of us, and then start working out story details, plot points, characters, the tone of the story, etc. This usually works out to be an 8-10 page outline. At this point it’s time for us to get started on the novel. Typically, one of us writes the first two chapters of the book. If it’s me, I then send them to Brandon. He spends a week or so editing the chapters before sending them back to me to get my comments. When we’re both happy with the revisions, Brandon writes the next two chapters. He then sends them to me to get my response, and so on. When the entire novel is finally done, we then go through the entire process again, changing whatever we feel needs revising, until we both feel the story is as good as it can be. At this point we forward the manuscript to several writing friends so they can tell us what they think works and what doesn’t. Once we’ve incorporated their suggestions into the story, we read through the manuscript one more time just to make certain the story is exactly the way we want it. Once we’re both satisfied, we finally send the novel to our agent, who then forwards it to perspective publishers. One of the things I appreciate about having a writing partner is knowing that Brandon expects my very best when it comes to the story. If I submit something that is deemed inferior, I will hear about it, but in a good way. Of course, the same is true the other way around. As you would expect, we run into a differences of opinion about the story from time to time, such as a way a character might react, or how a particular scene should be written. One of the things we agreed upon from the beginning is that we have the other’s permission to change anything we see fit. Nothing is sacred or off limits. In most of the cases, the other writer sees the value of the change, and usually agrees to it. There have only been very few times when one of us has put our foot down on something, and is unwilling to budge. When that happens, we offer explanations why that part of the story should remain unchanged. In the end, we both realize the story must come first, and whatever we put to paper is for the benefit of the reader, and not ourselves. BB: Mike put it well. Iron sharpens iron. The story is strengthened by the clashing of our swords. It is nice having another writer just as invested in the story as you are who can tell you when something isn’t working. We both feel God has brought our writing skills together (very serious about that!). Not just anyone can work this intensely on a shared project and stay friends. A story becomes your baby. How common is it for two directors to co-direct a movie together? Or how often do two artists collaborate on the same painting? Through writing together, God has taught me a lot about patience, character, teamwork, perseverance, and dedication. And I know God’s going to continue to deepen me in those things. Your cover is so compelling! Is there a special story behind that? ML: Brandon and I both realized the cover really needed to stand out. In some ways, the cover is more important than the story itself since that is what often determines if someone is going to buy the book or not. And so I set about getting the best artist I could find, but one that wasn’t going to break the bank. To make a long story short, I know an artist, Glenn Kim, who works at Pixar Animation Studios, the people who brought you The Incredibles, Cars, and Wall-e. After a quick e-mail, he agreed to do the cover, later admitting to me that he had wanted to do a sci-fi book cover for a long time. Over the next two months, we talked about the story, what the ships looked like, and the scene we wanted depicted on the cover. From the beginning, I wanted the cover to capture people’s attention to moment they saw it, and so we decided on a very dramatic scene in the story. I think Glenn did a fantastic job, and am very pleased with the results. I even included a page on my website that is devoted to all the artwork Glenn did for the book. On Friday the interview continues with the nuts and bolts: agents, publishers, marketing etc. To be proactive means that you take responsibility for the things that happen to you, instead of blaming others. You figure out what YOU can do rather than waiting for others to move. Decide what you want to accomplish in life, rather than floating through day to day. Do some soul-searching and formulate a personal *mission statement*. Write down goals: where do you see yourself next year? In five years? Then break down your goals into monthly and weekly targets. The urgent things that assail you are not always the most important things. Find other ways to get the urgent things done, such as delegating tasks, and focus on what you want to accomplish. You don't have to have winners and losers: work for solutions that benefit others as well as yourself. When in conflict, get both parties working to solve the problem, rather than blaming each other. The old saw goes *People don't care how much you know before they know how much you care* (about them). If you want to give advice, first make sure you understand where the person is coming from. Don't tell the person about your own experiences; just LISTEN! Teamwork can exceed what each member could achieve on his own. Value the members of the team, be aware of individual strengths and weakness, and include everyone in the decisions to work toward a common goal. Any machine will overheat if it isn't given a rest, and the same is true for people. Take the time you need to rejuvenate with activities and family. Also, take time to exercise and sharpen your mind. CS Lewis is, I think, my favorite writer. The man is brilliant, whether he writes essays, or long thoughtful works, or fiction. I would have loved to have met him, although I imagine conversing with him would be disconcerting. I might say "good morning," and he would snap, "define good, and what you mean by a 'good'morning, and why you are wishing me a 'good morning' when you don't know if I have spent an uncomfortable night on a lumpy mattress." I'm sure I would be tongue-tied and nervous, although I would sit quietly and hope he might not shine the spotlight too focused on me. As a child I read The Chronicles of Narnia too many times to count, and I wonder if they didn't help me accept ten or fifteen years later the need to consider the possibility of God's existence and miracles as I investigated the events surrounding the death of Yeshua. If you haven't read the Chronicles, please do; they are richly allegorical for adults and wonderfully exciting for children. The movies, while superbly made, are different; the books are magical. 1. to assist with the denouement of the climax – the subplot provides some mechanism of the story that is necessary for the Story Question to be successfully resolved. 2. to highlight the moral struggle that the protagonist undergoes. The subplot main character struggles with the same moral problem, but answers it in a different way. Story lines focus on the different constellations of characters, whereas subplots describe story events. Therefore, you can have more than one subplot in the C, D and E story lines, although one is often sufficient. I advise caution, since too many subplots easily muddy the forward thrust of the story. Each subplot story line, especially on the E line, should ideally progress through the following stages of a Story (from John Truby’s The Anatomy of Story). Remember that, for the subplot, the SP main character should struggle with the same issue as your protagonist but answer it in a different way. For example, in Lord of the Rings, Smeagle/Gollum mirrors Frodo, and Boromere mirrors Aragorn. Your SP main character has a weakness within himself of which he’s not aware at the beginning of the story. The weakness is MORAL (it hurts others) as well as PSYCHOLOGICAL (it hurts the character). Your SP main character also has a story problem stemming from this weakness. Finally, he has a need to solve this weakness. Toula’s WEAKNESS: she doesn’t appreciate her family, although her family desperately wants her to join with them and are sad that she pulls away. Toula’s PROBLEM: she wants to be seen as an individual, but her family holds to her so tightly that she will *never* be free. Toula’s NEED: she must learn to be proud to be part of her Greek family as well as to be an individual. Your SP main character has an outward desire, the story question of the subplot. Toula’s DESIRE: she wants to fall in love and get married. The opponent is the character who is competing with the SP protagonist for the same goal. Toula’s GOAL: she wants to be an individual, separate from her family. Family’s GOAL: they want Toula to be part of the family. Your SP main character must have at least a vague idea, or maybe a more detailed plan, of how he plans to fight the opponent to gain his desire. Toula’s PLAN: she will keep dating Ian, whether or not the family approves. Your SP main character and opponent battle for supremacy . This is a punch-counterpunch series of actions. BATTLE: Toula’s family tries a number of tactics to get her to separate from Ian: forbidding her to see him, using guilt, and introducing her to more *suitable* men. Once they realize that she’s going to marry Ian despite their best efforts, they take over control of the wedding plans. Toula continuously battles for her identity apart from the family. After a great deal of painful struggle, your SP main character realizes and solves his need that you identified in Stage 1. Don’t make this revelation too easy or too obvious (don’t have your character come out and say it! ), or your story will fall flat. Instead, demonstrate how this need has been solved. Toula is depressed the night before her wedding because she realizes she will never be free of her family. Her grandmother enters the room and shows Toula a picture of herself as a bride, then gives Toula the wedding crown that she wore. Toula suddenly realizes that her family’s inclusiveness is a good thing, full of rich history, identity, and love. Toula is speechless as she hugs her grandmother. Your SP main character has solved his need, or else lost his opportunity to solve it. Desire (Stage 2) is gone so that he simply will continue to live his life at a higher (or lower) level than before. Toula celebrates the wedding reception with Ian and her family. Toula’s father gets up and makes a joke that although the two families are different, they are in fact now unified. Toula and Ian are then shown six years later walking with their own little daughter to Greek school. Toula tells the daughter that she can marry anyone she wants. copyright 2009 by Amy Deardon. All rights reserved. I have a biography of Ayn Rand -- haven't read too much yet, but it already describes a remarkably sad life for an essentially angry yet brilliant thinker. If you're not familiar with Ayn Rand's philosophy, summarized in Atlas Shrugged and Fountainhead, basically it's that if you are a producer (business, science, art) then produce -- and if you can't, then get the heck out of the way. She'd have a field day with the state of American politics right now if she were still alive (she died in 1982). No matter. I agree with much of what she says, although a gaping hole in her theory of *how things work* in my opinion is the role of altruism, kindness, forgiveness, in her ideas. She believed in utilitarianism -- you worked for yourself, and your value was based upon what you could produce and do. Driving today, I let my mind wander from Ayn Rand to the idea of universal health care to the complexity of systems -- any system -- and the law of unintended consequences. I learned a healthy respect for systems as a physiologist, that you could never manipulate just one part without having unexpected and sometimes catastrophic results. A system must be explored very carefully, respectfully, and slowly in order to shift it into a good direction. In our culture, we often expect a simple answer to a complex problem. I wonder if sometimes we become too arrogant, too disrespectful of systems and think we can control them by simple micromanagement, dictating *one size fits all* solutions to whatever the problem du jour may be. In my experience, this doesn't work, and may cause catastrophic results. I'm thinking that one time that government started feeling it could conquer grand social problems was around the 1960s, with the advent of Johnson's Great Society. This was an optimistic time for our country -- we'd recently won two simultaneous wars in World War II and even Korea hadn't dampened us too much, we'd graduated from a prosperous 1950s, and we were ready to go to the moon and take on the world. The USA was going to solve poverty once and for all. We also had FDR and his New Deal in the 30s, of course. I'm thinking that Americans have been used to this idea of government solving problems for a long time. But I would argue, poverty, medical care, education, and a host of other problems are such complex systems that the prediction of outcome from any manipulation is too uncertain to be made reliably. The law of unintended consequences kicks in. Trying to make a rule that all people do an unpopular action X, may cause many people to do Y in avoidance. A quick example I've recently heard is that some bank credit cards may start to charge interest from the moment a purchase is made, rather than providing a grace period. The hope for the bank is that it might make a little more money. But you know what I thought as soon as I heard that? I'll stop using credit cards, or use them only as infrequently as I need to to maintain a credit rating. I can use a debit card for automatic purchases, and cash for everything else. I'm sure I'm not the only one who thought this, and if the banks do this they may find themselves actually losing income, even below current levels, as people start cutting up their cards. (Credit cards make money from vendor charges, 1-2% or so of the purchase price, as well as charging interest rates to the cardholder, so they will lose money from decreased buying by credit). I hope this isn't too political a column; after all I've really tried to avoid that in this blog. It just seemed that, at least today, politics really illustrated my ideas of systems well. Basically my thought was this: we must, all of us, avoid being so arrogant that we think we can change that which we cannot. We must be humble as we carefully investigate what we might influence, and what is beyond our ability. Furthermore, in cautiously changing a system we must be respectful of the free choices people will always make. Free market ideas, while sometimes cruel, may in the long run be the best or even only way to manage these problems. Hi everyone. I'm going to punt on blogging again today and pass on a cute story. Have a great day! One Sunday morning, the pastor noticed little Jacob standing in the foyer of the church staring up at a large plaque. It was covered with names and small American flags mounted on either side of it. The six-year old had been staring at the plaque for some time, so the pastor walked up, stood beside the little boy, and said quietly, "Good morning Jacob." "Good morning Pastor," he replied, still focused on the plaque. "Pastor, what is this?" "You're born. You suffer. You die. Fortunately, there's a loophole. - Billy Graham"
Last week has sparked some interesting thoughts that I'd like to pursue. My philosophy is this: a person is of course entitled to believe anything he or she wants to believe. However, if he wants to be called a *Christian* then he should adhere to the core beliefs of Christianity, rather than picking and choosing which beliefs suit him, and which don't. So, which beliefs are the dealbreakers, and which are conflicting viewpoints that Christians may hold? 2. God is part of all things, including us (pantheism). In this belief system, all roads lead home, to god (small G); all beliefs are equally valid, and the only sin is to not be tolerant of someone else's way. We are all god, and we will all realize this one day as we dissolve into the whole. 3. God is a distinct Being who created all things, including us. Although there are significant differences, this idea of God as Creator is the one of monotheism (Judaism, Christianity, and Islam). A subjective view means that there isn't a *right* answer: I like strawberry ice cream, you like chocolate. An objective view means that there is one right answer even if no one believes it: the Earth circles the sun, and the sun does not go around the Earth. In discussions I have with people, there seems to often be a confusion between *subjective* and *objective* truth when it comes to describing God. Sometimes the person will tell me in great detail what his religious beliefs are, and when I say that I believe something significantly different the person will nod and say, great, that is your truth. Let me ask a question though: Is God a flavor? Can this person be correct in saying this? In my humble opinion, if someone can say that anything that anyone believes about God is true, then that person does not truly believe in God's existence at all. I can't say the flower is pure purple and you say that it's pure white, and we're both correct. Even if you are a pantheist, all statements about god can't be true because some will certainly contradict others. OK, so if we agree that the idea of God must be objective -- there are certain statements that are true, and certain statements that are false -- how might we decide which are which? I came to my own faith through studying the historic circumstances surrounding the death of Jesus, and the evidence was so compelling that it changed my life. Any sense of God's presence came only years afterward -- yet I believed that Christianity was true the same way that I believed in mitochondria -- I couldn't see them (except as a sausage-like blob in an EM that someone told me was a mitochondrion) or experience them, but the evidence was irrefutable. I stepped back. IF the resurrection is true, THEN what Jesus said was true. I'd already researched the reliability of the New Testament documents and accepted that the Bible I bought at Walmart accurately conveyed what the authors wrote within one generation of the death of Christ. So, I read the New Testament to learn about what Christians believed. I believe that God exists as a separate Being, and He longs for us to know about Him. He has described Himself in the Scriptures through the writings of many people. He takes what we do with this knowledge very seriously. I have my own conclusions, of course, but today let me pose the question to you: What do you believe are the Deal Breakers in Christianity? And do you accept these beliefs?